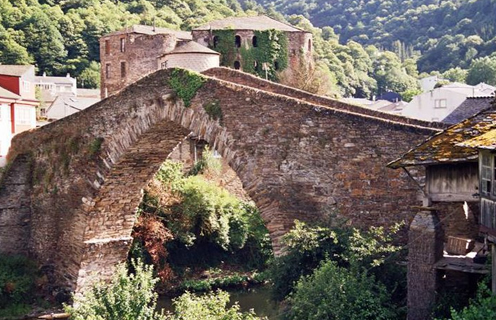 Pre-romanic Village of PIORNEDO DE ANCARES declared a beauty spot in 1971, 20 minutes drive from the Inn Campa da Braña. 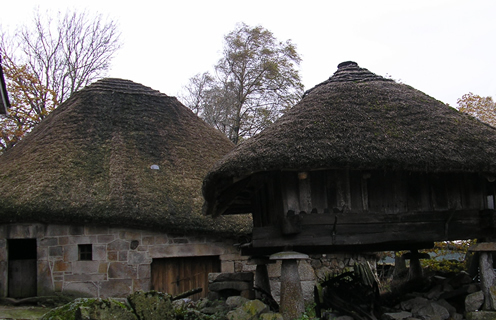 Here there is the biggest number of local cottages and old thatched granaries. VILLARELLO DE DONÍS: 15 minutes from the Inn Campa da Braña is Vilarello de Donís, a small town with great charm where you can see a large number of thatched pallozas and granaries surrounded by a forest of century old yew trees. SUÁRBOL: At half an hour from Campa da Braña Inn, located in the foothills of mount Penalonga, there is Suárbol. 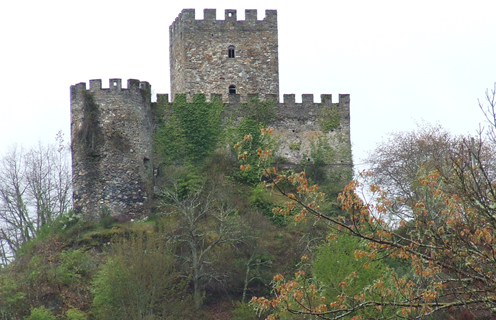 DOIRAS CASTLE: It belonged to the lord of Cervantes from whose lineage descended the author of Don Quixote which has created legends such as the Mujer-cierva that would inspire the story of Gustavo Adolfo Bécquer "THE WHITE DOE". CASTRO DE SANTA MARIA, Celtic settlement. NAVIA DE SUARNA and its Roman bridge. RAO GORGE located between Balouta and Murias de Rao. 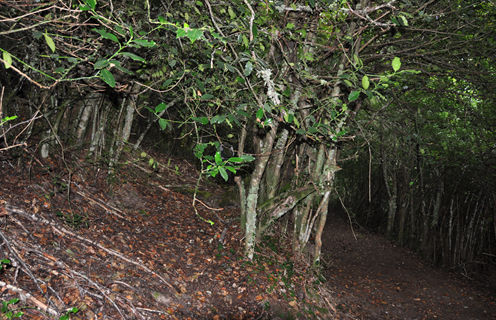 ANCARES mountain pass, you can find, going to Murias, the BRAÑAS DE PAN DE ZARCO.